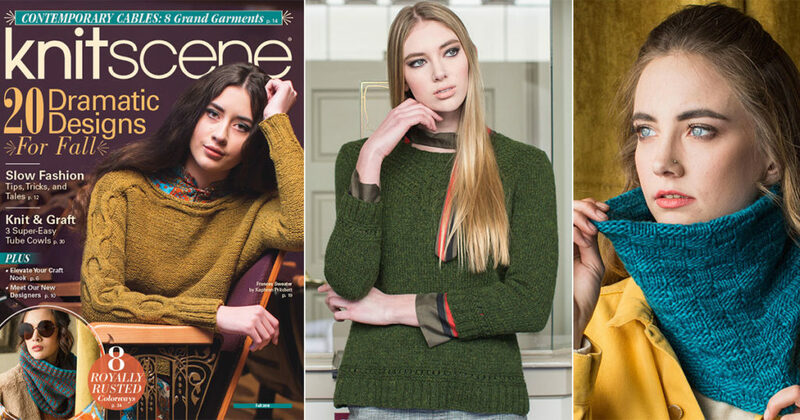 Your Favorite Patterns From knitscene Fall 2018! It’s always an interesting treat to see what projects from the pages of knitscene resonate most on Ravelry in real time. In the office we naturally make predictions about what will be most popular, based on what we like and what is hot at the moment. Knitscene Fall 2018 has been live for a few weeks now, and Ravelry users have been busy pushing the “Favorite” button and loading up queues with these beautiful projects! Below are the favorite projects from this issue, as declared by the users of Ravelry. We at Interweave use Ravelry as a trend-spotting tool, and it’s the best way for us to keep our fingers on the beat for the types of patterns that YOU want to knit from our pages. Don’t see your favorites on here? Leave us a comment to let us know which it is, and head on over to Ravelry and start clicking that little heart button! The Olivia Sweater is a seamless-yoke knit, and has statement cables running down the front of the body. Even with the cables this is an easy-level knit, and so is perfect for a first sweater project. The texture and color of the chainette Sugar Bush Yarns Canoe used in this project creates a fabric with a slightly marled look, with allover subtle color flecks. The Beatrice Sweater has a classic silhouette with one touch that makes it completely unique: a set-in lace panel that is knit separately and seamed when the body is joined in the round. Knit the lace panel in the same color as the body, or in a contrasting color for an even more unique look. And the current favorite pattern from knitscene Fall 2018 is . . . The Agatha Shawl! This is a super-fun shawl to knit, with a zigzag motif across one side and in spots throughout the main garter-stitch section of the shawl. It has an easy-difficulty level, but is interesting enough to keep even an advanced knitter entertained throughout the project. There you have it! 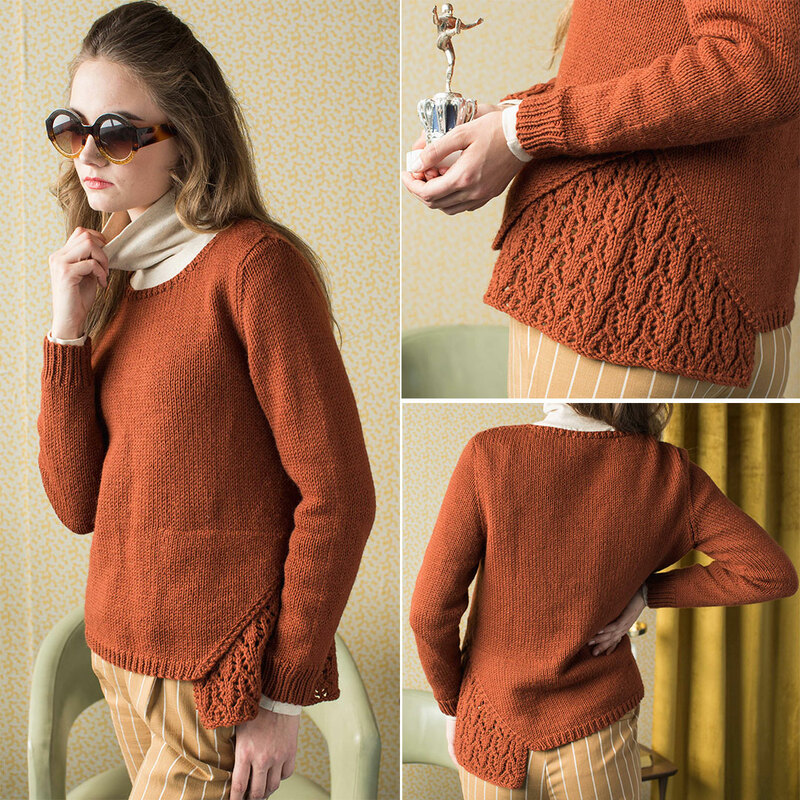 Those are the current top projects from knitscene Fall 2018. If you want to see your favorite pattern in the top three, get clicking! Our 2017 Interweave Knits Collection Needs to Be Yours!